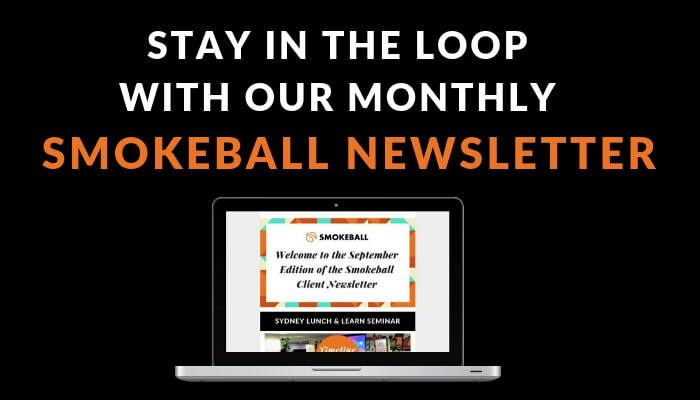 We are always seeking feedback regarding our training and support so we can provide you with the best tools to assist you in using Smokeball more effectively. If there are any support articles you would like to see added please let us know. Like and share for your chance to win a $50 Eftpos gift card! We are excited to share with you our new advertising campaign featuring one of the most famous former TV lawyers - Ally McBeal! Share our video on Facebook, LinkedIn and Twitter (or all three!) for your chance to win a $50 gift card eftpos gift card. - Exclusive offers and competitions + much more! Like and follow us on social media to stay up to date with all things Smokeball!